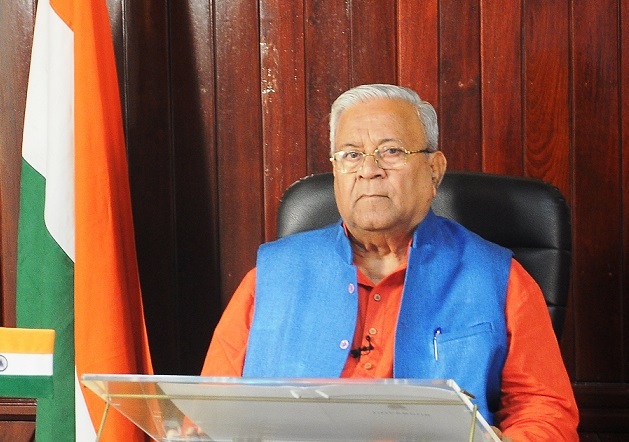 Nagaland governor P B Acharya has donated Rs 2 lakh towards the Kerala Chief Minister’s Relief Fund to be distributed to the flood-affected people of Kerala, PRO to governor said in a release on Saturday. Unprecedented floods wreaked havoc in Kerala since the beginning of August. The governor has appealed to the people of Nagaland, various organisations and NGOs to donate generously to support and help people of the flood-ravaged state. Nearly two-lakh people have been displaced and over 300 people lost their lives in the last nine days. Thousands of people are still perched on high rise building waiting to be rescued and taken to relief camps. The donation towards the Chief Minister’s Relief Fund can be made directly through account number 37319948232, State Bank of India, Branch- City Branch Thiruvananthapuram, IFS Code- SBIN0070028, and name of donor: CMDRF.